This is an advanced proposal / setup Wizard (multiple step form) that will allow you to choose from all of the website design, hosting and email options that ChurchBuzz has to offer in 7 steps. To generate a PROPOSAL: Simply go through the form and select all the options your church needs. If there is any info that you do not currently have, just enter in some "dummy" data for now so that you can proceed to the Next step. At ANY point, you can choose the "Save and Continue this Form Later" link. The form will prompt you for your email address and will send you a link to the form with all the data you entered. This will allow you to generate a complete view of the costs for your church website. Once approved by your church, simply click th link in your email and continue. Name the person to receive any invoices/receipts for ChurchBuzz services. If you have a marketing tagline like "Open Hearts, Open Minds, Open Doors" to show in the header of the website please add this. If you do not have one, just leave this blank. To be used in the footer of the website and for routing form submissions from the website. Please list the service name, time and type (Contemporary, Traditional, Praise, etc) for as many WORSHIP services as you have at your church. Click the + button to add an additional row for additional services. Please add a list of up to 10 surrounding towns, cities, neighborhoods that you want to show up for when people search for a church in that town (in Google). Separate each by a comma. If you have a favorite or guiding Bible verse from your church please list it here. Add the full verse and book chapter:verse reference. Looking for a one line verse here to be displayed on the homepage. The URL of your Church Facebook page if you have one. The URL of your Church Twitter account if you have one. If you want to keep your website updated regularly with news, upcoming events and devotional blog posts, indicate that here. If you do not plan to keep these things updated we can hide these from the homepage. This can be added back in when you are ready. Please select any and all services that your church provides to your community. We will use this as a guide for monitoring and setting up your website for proper search engine optimization. List any other services in addition to the list above that people in your community may be drawn to. If you have a church logo, please upload here. Must be less than 2mb in size. You can also email this to us later. You can upload up to 3 logos. Please upload one or more photos of your church building if you have some. A photo that also includes PEOPLE out front would be even better, but you can always update the photo later. You can upload up to 3 photos. Please upload one or more photos of your SANCTUARY if you have some. This photo MUST include PEOPLE - no empty sanctuary photos! 🙂 You can upload up to 3 photos. Please upload one or more photos of your Pastor. Headshots are fine, or family photos or photos of your Pastor preaching or in action in any way. You can upload up to 3 photos. Other notes about production of the website? 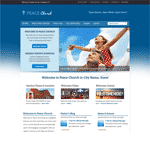 The domain name is the website address, such as FirstChurch.org. If you want us to register a new domain name for your church, please choose the 2nd option. Please choose the name of the site where your church domain name is registered. If you do not know, select "I don't know". If yours is not listed, add it using the "Other" field. We will need to transfer your domain to our registrar so that we can properly setup, support and launch your website and/or email as requested. Please provide us the username of the domain registrar account. Please provide the password to the domain registrar account. Enter the name of the domain name(s) you wish to register. If you are not sure, just give us some ideas and we will find the best domain name and get your approval before we commit to it. The setup fee for any of these Church Website Template Options is $399. The ChurchBuzz team will add content to your website and launch it (including any DNS setup)! You will work closely with our team to provide us the content for your new website. 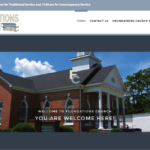 You may also choose the Custom Design Option to have a ChurchBuzz website designer create a custom design just for your church! Choose the homepage you would like to use as a starting homepage. See the Kingdom Template under the Home menu for the different options available. Payment for monthly fees will begin once your website is ready to be launched. Please choose one of the following email hosting options. Most often, when you change web hosting providers, you have to change email hosting because the web host also hosts the email. If your current web host also hosts your email you MUST choose another email hosting option. To eliminate this dependence and get the best, most secure, most spam proof email hosting in the World and get it FREE of any monthly fees we HIGHLY recommend the GSuite Email by Google setup for all churches! ChurchBuzz (a dba of Infrastructure Inc.) and “the Church” agree to be bound by this agreement for a term of 12 months beginning the date this agreement is signed. This date will be considered the renewal date. 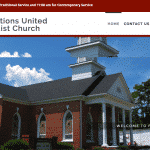 The Church may terminate this annual agreement prior to the renewal date. If notice of termination is not received prior to the renewal date, the agreement will renew automatically for a new 12 month term. 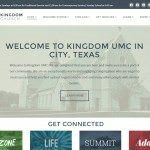 Upon early termination, the Church agrees to pay any outstanding invoices and any unused months of hosting and or website management services up to a maximum of three months of services. No refund for unused hosting or unused services will be issued. ChurchBuzz will add a link in the footer of the website to publicize that the site was designed / optimized / managed by ChurchBuzz. All domain registrations, custom website design work and website content remain the property and copyright of the Church. 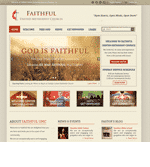 Any church template site provided by ChurchBuzz remains Copyright ChurchBuzz. Church agrees to allow ChurchBuzz to use photos / videos of the produced Church website in ChurchBuzz promotional materials. You will receive a copy of this agreement in your emailed receipt. By clicking the checkbox above, I hereby sign and agree to this agreement on behalf of my church. The amount shown here is your total SETUP fee. This is a one time fee to get your church setup with your website and/or social media / email hosting. You will be invoiced for this amount immediately. You can choose to pay by credit card or check from that invoice and the setup process will begin once we receive your payment. Thanks!